One of the most popular types of exercise for entrepreneurs and business leaders is CrossFit. This high-intensity, varied, and results driven exercise program helps people boost their fitness levels in the shortest time frame possible. It’s not for the faint hearted. In fact, it’s a lot of hard work but for stressed out entrepreneurs who are accustomed to taking on challenges, it’s a highly fulfilling way to let off steam and build strength and stamina. When we think of entrepreneurs, we tend to imagine passionate people energetically building a business from the ground up. They love what they do, are tremendously excited every morning, and devote countless hours to making their dream a reality. And this is all true but there’s also the flipside to the entrepreneurial life. There’s the stress of making big decisions, the money worries, the lack of sleep, and the late nights which can negatively affect personal relationships. A stressed out entrepreneur who eats badly and does little exercise, will soon flounder and find themselves facing stagnation due to tiredness, ill health, anxiety, and poor decision making. This is where CrossFit with its high intensity workout programs can really help the stressed entrepreneur. Regular exercise has been proven to positively benefit the physical body, the mind, and general mood. 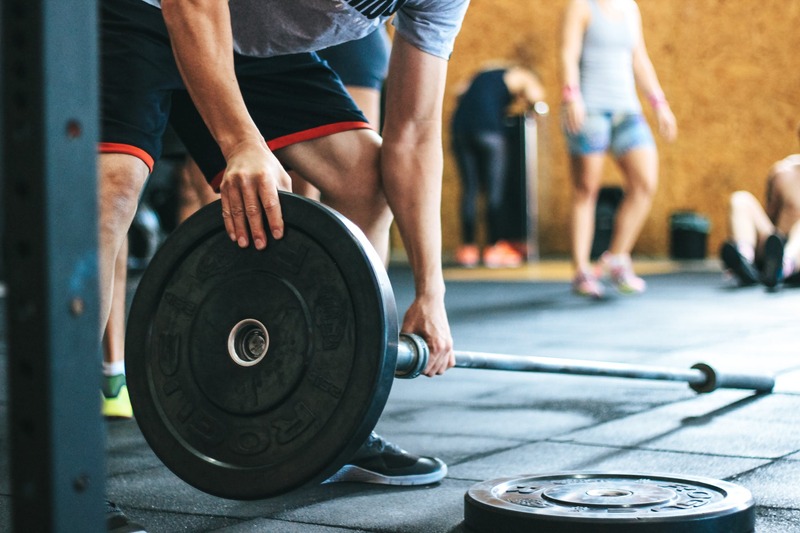 CrossFit’s data-driven and competitive approach is ideal for the entrepreneurial spirit and its fast pace is perfect for the busy professional. Creating your own business is stressful. No matter how excited and devoted you are to what you do, there are times when things inevitably go wrong. Together with long hours, insecurity, and various money worries, being an entrepreneur is not for the weak willed. CrossFit provides stressed out professionals with a great way to burn off the body’s stress hormones such as adrenaline and cortisol. The intense physical activity also stimulates the creation of endorphins which are the body’s natural mood elevators. With regular workouts, you’re likely to feel more balanced and able to roll with problems as they arise. A big reason why many busy professionals avoid or postpone exercising is because of the time commitment. Running a business, especially in the early years, can be intense and when combined with family life commitments, exercise is usually jettisoned. A benefit of CrossFit workouts is the speed and intensity with which they are performed. The fast-paced CrossFit workouts are designed in such a way as to push the body further than more traditional and longer workouts. They also avoid the boredom that can arise with long solo exercises such as running. The different activities, performed at speed, maintain interest and increase the likelihood you’ll continue. Sitting in an office or hunched over a laptop all day is not good for your body. Without regular physical exercise, you’re more likely to feel tired, drained, and more prone to frustration. The intense CrossFit workouts get your blood pumping which delivers oxygen to your muscles, joints, organs, and most important of all, your brain. Building and maintaining a business requires stamina, both physically and mentally. The fitter you are, the more energized you’ll feel and the better you’ll be able to focus. Being an entrepreneur is about mastering the short-term sprints and the long-term marathons inherent to business development and growth. Being an entrepreneur can be lonely, especially if you’re building a business alone. You might spend many hours by yourself, either at home or in an office. Due to the long hours you put in, it can be difficult to meet new people who understand you. The mind of an entrepreneur is different to that of the traditional employee. With CrossFit, you’ll be working out with a group of likeminded people in a CrossFit box (workout space). The intense and focused nature of CrossFit attracts go-getters and people more likely to be business owners and leaders. It’s a great way to meet new people on a similar wavelength to yourself. CrossFit is hard, very hard. You push yourself to your limit over and over again, with different types of exercises. It’s painful and exhausting, but it’s also liberating and fulfilling. You’ll feel the much talked about highs but only after you’ve put in the work. CrossFit develops mental toughness as well as increased strength and stamina. This mental toughness carries through to the rest of your day-to-day experiences. You’re likelier to feel stronger in the face of adversity and more decisive when it comes to making decisions. With each personal record you beat in the CrossFit box, despite the pain, the more you’ll feel you can take on the world in every other area of your life. Your confidence is boosted. Research suggests regular exercise alters the structure of the brain and improves cognitive functioning. Areas of the brain responsible for memory, concentration, creativity, and wellbeing benefit from physical activity, including programs such as CrossFit. Exercise also stimulate chemicals which positively affect the health of brain cells and blood vessels. For entrepreneurs, who rely on mental clarity and creativity, exercise thus becomes an imperative part of their daily or weekly routines. Running a business feels like walking along a tightrope at the best of times and every cognitive advantage is a step closer to meeting important goals and deadlines. Building and running a successful business is difficult. Physical and mental health can often be neglected in the pursuit of business excellence. Yet it’s a fit body and a healthy mind which contribute so much to the success of any endeavor. When the mind and body are nurtured and honed, then the chances of achieving goals is made so much more likely. CrossFit is all about achieving goals and beating records, while at the same time strengthening both the body and the mind. For you, as an entrepreneur, it’s a great way to stay fit while also engaging your competitive nature.